Official Spokesperson of Pakistan Army, Major General Asif Ghafoor announced in a tweet yesterday that Bill Gates called Chief of Army Staff Qamar Javed Bajwa and acknowledged the efforts of Pakistan Army in eradicating Polio from Pakistan. The army’s role towards this cause extended beyond Federally Administered Tribal Areas. The army was given the responsibility to eradicate polio from the entire country. Pakistan has been tirelessly working towards eradicating polio and hence the number of polio cases has dropped drastically. Back in 2012, Bill Gates also tweeted how the number of polio cases has significantly dropped in Pakistan. 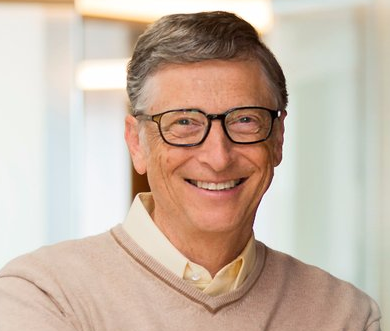 Earlier this year, Bill and Melinda Gates Foundation announced the increase in financial aid for polio eradication and improving health services in Pakistan. This was revealed in a letter sent to the Minister for National Health Services. Pakistan’s Prime Minister also met Bill Gates last year in NewYork who again appreciated the efforts of Pakistan in its combat against polio.